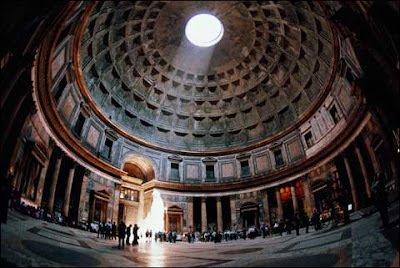 The Roman Pantheon has always been an architectural marvel. From the time it was completed in 128AD, until the architect Fillipo Brunelleschi completed the dome on the cathedral of Florence in 1436, the Pantheon was the largest vaulted space on the planet. But now, there is reason to believe the Pantheon was more than just a temple.